Remember how I said it takes guts? Well, to write a blog that has to be changed. And, based on my own personal experience, it is like being pushed into a cold pool. Are you going to sink or swim? Are you even going to have the courage to make the leap? There were two moments when I started this blog when I realized the true gravity around “becoming a character” and at both of these moments, I had a choice whether to move forward or not. Not to ruin the surprise, I moved forward and I believe I am a better writer and blogger for the experiences. The second article was more personal to me…. Well, as personal as it can get. See, this article was about my vasectomy. Okay, laugh… Done yet? Okay, I’ll wait. See, now that reaction you had to laugh while also feeling a little uncomfortable (especially my fellow male readers) is natural, but it is what led me to write the article in the first place. I was teased after I had the operation by people (even family), and I realized that that bothered me. This was my experience, my choice, and people laughing at me or the fact it was done belittled what I went through that day. Also, as my wife wisely pointed out, I’m definitely not the only dude out there that has experienced the “operation,” but has anyone else written about it? In a way, through writing the article, I took back my experience. (“A Funny Thing Happened on the Way to My Vasectomy” can be found here). The fact is neither of these articles were easy to write, but they both had one thing in common- they were honest. Yes, it was scary to write about both of these experiences, throw them out there for the masses to read, but it was also liberating too… and that is what a blog is. By sharing such personal experiences, a reader gets to know me more and might return, even when whatever advice or article they read on the site that drew them there in the first place has disappeared into the archives. I hear ya, I really do. But that is an editorial, not a blog you are talking about. That is a one off thing, not a continuous thing that people might return to again and again. You want to truly write something like that, find a magazine or a specific website to publish it; don’t bother putting it up as a blog. Chances are, it will be lost if you attempt the road of a blog. That is not to say a blogger can’t write advice. I do it all the time (for example, the article you are reading now), the difference between this piece and a piece I might write for a writing magazine, for example, is my voice. Yes, there is advice here, but it is grounded in my natural speaking voice. And while in an editorial I don’t need to back up my points, per se, here I do with experience. See, a blog, when done right is a story. It is a narrative between you and the masses that might find your blog out there. So is there something you want to say about, I don’t know, brainstorming a plot for a book, take the reader through the experience of how you figured it out, don’t just throw the advice at them. What were you feeling before you figured it out? What did you feel afterwards? Also, I’ll put my money on this too, the more you share around your own experience the more your advice will stick. The pieces I have written that have gotten the biggest response from readers have always been the ones where I didn’t shy away from my experience as a fellow human on this planet. We are all humans, which means each of your readers has experienced all the good and bad life has to offer just like you. Yes, they have been dumped too, fallen in and out of love, lost loved ones, been embarrassed, etc. Your human emotional experience is not unique to you; we all have experienced dimensions of it. I’m not diminishing your experiences on this mortal coil; what I am trying to express is more heartwarming- you are not alone. When I learned my high school was disappearing as part of a school merger, it inspired my most popular piece on my site, “The Fall of the Vikings.” As my brother happily pointed out to me, I had the equivalent of a decade’s worth of ENTIRE graduating classes from that school of students read the work. I was getting e-mails from around the country around it. Fellow “Vikings” found something in my piece to latch on to. It meant something to my readers, because I made sure to share how much it meant to me. Here is a more difficult to discuss example, this year I lost my grandfather. My grandparents have been amazing influences on who I am as a person, and losing that voice in my life was hard for me (still is). I wrote two pieces about the experience. The first was around when I knew he was dying (“Writing My First Obituary”), and the second was a few months after the funeral, coming to grips with the experience (“Life’s After Thoughts”). Frankly, they are some of the best stuff I have done on this site in my opinion. Of course, I might just be saying that because I needed to write them. So how does this relate to your blog, well, to be honest, this might relate more to your advancement as a writer. See, I am a better writer for writing these pieces, because I found ways through my art to express my feelings; which means as a novelist when I take on the heavier moments in my work I don’t feel as a stressed as I once did. I know I have done it before. In regards to the blog though, this is part of the honesty and the buy-in you want from your readership. This is life, we all experience it, but in a blog you experience it for others to follow as well. These moments are sadly universal. Your readers will respect you for this, trust me. Okay, as much as I argue for sharing your life, you can still be smart about this, and you should be. So, for example, don’t share your bank account balances, addresses, kids’ names, etc. There are limits and you need to find them for yourself. Yes, writing a blog can be scary and sometimes frustrating (I’ve discussed that previously in this editorial), but there is a lot to gain from the experience. I am a better writer today for having a blog, I believe the same can be true for you as well. All you need is the guts to jump into the cold pool. If you liked reading the editorial, why not check out some of my published books? 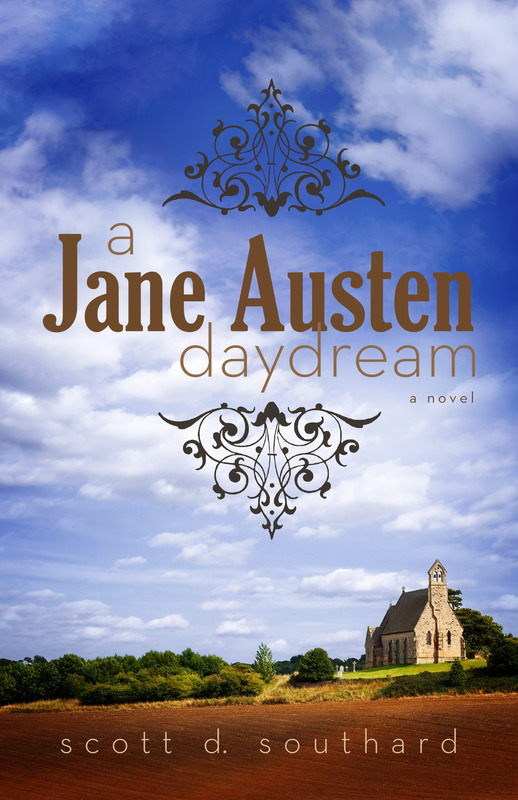 I had four novels published in the last few years, the new A Jane Austen Daydream, Maximilian Standforth and the Case of the Dangerous Dare, My Problem With Doors and Megan. You can find them via my amazon.com author page here; or as an eBook for Doors and Megan on Google eBooks here. Thanks for reading! This entry was posted in Life, Writing and tagged Aging, art, Blogging, Books, Characters, Creative Writing, Death, Editorials, Educating, Experiences, introverts, Journal, Life, living, Loss, Love, Memories, Novels, Parenting, Sharing, WordPress, Writers, Writing by Scott D. Southard. Bookmark the permalink. Well put indeed. Nearly one year into my blog, I think I’m almost there. I started personal, then veered toward overly analytical, and now I’m meeting somewhere in the middle. Here’s to standing on brink of diving into that cold pool. There were a lot of great posts about blogging today, more than usual it seems. The great thing about reading a lot of them was putting all these perspectives together to create a big picture of what blogging can, and maybe even should, be for a writer. I love writing the articles, sharing a bit of myself, getting to know others and developing dialogues. Your advice is well-taken. Thanks for sharing your experience. BINGO! It’s all about being personal and sharing these experiences… writing about them makes me a better writer – You couldn’t have been more accurate even if you tried. I followed a Facebook link here and am so glad I did. My blog is probably overly personal, but I started it as part of my own personal journey of healing and recovery. It’s been my lifeline and I honestly never expected to gain much readership, since I was mostly writing for myself. As time had progressed and I began connecting with other bloggers I have found myself growing in so many ways, especially in relationship with my readers and as a writer. 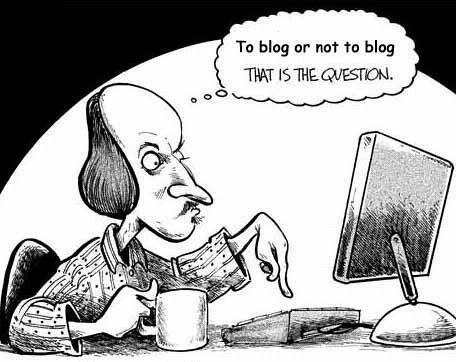 I believe you are correct about blogging being a writing platform and artistic expression in and of itself. Thank you! What a wonderful comment. I’ll have to check out your blog soon. Cheers! That may well apply to “writers” in your circle’s, Scott, but I have been a police officer, sheep-shearer, chef, taxi driver, postie, woodcutter, etc, written a feature film, published a book, and done a myriad of other things. And that’s why I don’t blog about how to write or about writing itself. I’m too busy writing about “life” (living it) and what it’s like to experience it. I was School Captain, Course Captain at the Police academy, and am so far from being introverted. The reason I don’t teach others how to write? I’m too busy showing them with my writing. If you’re talking about something, you’re not doing it. And if you’re doing it? You’re not banging on about it. I think there are a lot of professors, professional writers, MFA students, etc. who may disagree with you on that one (and don’t let me start getting out my history books). Just remember everyone is different. What is true for you, might not be true for others. Whatever the case I always enjoy your comments. Thanks for reading! I don’t agree with everything verbosityabridged said, but I am personally VERY far from introverted, was a popular kid in school and had pics of friends in my locker, etc. And, as a part of a large online critiquing community, I know tons of writers who fit the extroverted, talkative, sociable stereotype. There are all kinds of personalities in writing. But don’t throw out the rest of the post just because part was an (incorrect) assumption. Scott had valuable things to say about blogging. I couldn’t agree more. I am just not interested in “advice blogs” but I love reading about what it takes and how it feels to do the thing you are trying to do. Thanks for reading. I think if I blogged only on one topic my blog would be boring for me and my writing. The only consistent thing is my voice. Scott, you’ve hit the nail on the head: VOICE is the secret in any type of writing. What if a mighty chorus only sang in soprano?? We must strive to use our own true voice and not be an imitation. Thanks. Glad you liked the post. Cheers! I totaly agree and thank you for sharing! I’ve always said I want to write a book, so I decided to start a blog where I can tap into my creative side and practice more with my writing. A lot of my writing is through my personal experience. It’s scary at times to reveal our ‘human side’, but it’s a great journey! It takes a lot of courage to allow one’s self to become a character. I still struggle with it from time to time… But it’s always been more fun to shout “what the hell!” and do it. Linked here from your twitter post a few moments ago. I’ve been writing for 18 years, and I think my advice/essay work, in magazines, found some popularity because the magazines were geared toward advice and encouragement. My hard-copy readers followed to my recent blog site just because they wanted interaction with the advisor. But I must admit, when I posted about funerals, locking keys in the car, or spending a whole day outdoors while my AC was repaired, I collected many more comments and a new readers than I normally do with advice posts. Advice, sprinkled with Murphey’s-Law moments seems to work, for me, and advice introduced with something off the topic, such as a sermon mixed with a terrifying story, is my new experiment, based on the sure knowledge that everyone loves a story. Thanks for organizing my brain so early this morning! You and I are definitely on the same page on this (I’ve got to read some of your posts!). Thanks for writing, glad I could help organize (LOL). The truth about my blogging attempts is that I come out like gangbusters then pop like a firecracker. I tried for a while writing about politics. With that one I discovered that campaigns give me gas and the results make me pass it. My brand new attempt is writing about what I do, which is writing and creating digital art pieces and clipart. I put the blog online before realizing that I don’t know how to write about creating digital art…YET, but it will come to me. I never give up, but I change directions sometimes, heading always for my original goal. To share what I do know in an entertaing way. Just to add confusion before the comment, I have no idea if the comment I just posted was sent to you. WordPress sent me the long way to your door. The truth about my blogging attempts is that I come out like gangbusters then pop like a firecracker. I tried for a while writing about politics. With that one I discovered that campaigns give me gas and the results make me pass it. My brand new attempt is writing about what I do, which is writing and creating digital art pieces and clipart. I put the blog online before realizing that I don’t know how to write about creating digital art…YET, but it will come to me. I never give up, but I change directions sometimes, heading always for my original goal. To share what I do know in an entertaing way. Glad I read this. The blog portion of my website always feels dry to me and I think you’ve hit on why. I *am* one of those introverted writers, and while I can be funny with people I know, or “in character” in my books, I think I hold back in my blog posts, trying to sound “professional” at all times, even if I’m talking about a random topic like my garden or my new boots. Probably high time I loosened up a bit. It takes courage to put yourself out there. I wish you the best! Cheers. Scott, thank you for this post. I maintain a blog on my website and feel I should post more often. However, I feel I should write something “profound” – essays with some substance, and am told I do that quite well. You have given me courage to write more about the “whole” me and not just about the “writer”. I did this in my memoir with no problem; now I’ll be more open in my blogs. After three novels and a memoir one would think I’d be a pro at blogging. Thanks. I would appreciate your critique, if you have the time. Best of luck with your forthcoming book. Thank you so much and good luck on your blog! It is liberating and scary to put yourself out there in a blog (or in a book as you did). It’s also, strangely, a lot of fun. Some very valid points, explained with honesty and humour! Wow. Thank you for this piece. As a new blogger it was very insightful. You may be shouting into a hurricane, but there is some damn useful stuff here! This is a brilliant post! I can’t recommend it enough for writer, bloggers, artists and all members of humanity! Thanks Karen. I have to admit there are moments I am still shocked by how much I share of my life on this blog. I love this! I am a newbie to blogging as an author and am overwhelmed. Everywhere I read it says find your focus, don’t write about multiple things you’ll confuse your readers, pick one thing and stick to it. I think to myself, how in the heck am I going to write about such a narrow topic for years to come? Won’t I (and my audience) get bored ? My life isn’t just writing: it’s about my experiences, my family, my life, and all the things I am involved in. While I can understand I don’t want have a thousand different angles, I want my blog to be me, my writing, my life, me. i’m still overwhelmed, but I feel a bit less stressed about it. For some reason I felt the need to have permission to be me. Thanks for giving it. By the way, I despise cold pools. I think you have the right angle on your blog. I wish you the best with it. Cheers! And I’m glad you liked my post. Hi, Scott! This is something I really need help with. As a contemplative person, it’s hard to “put myself out there” without sounding morose or educational. Thanks for these tips and encouragement. Just be yourself! Good luck with the blog.